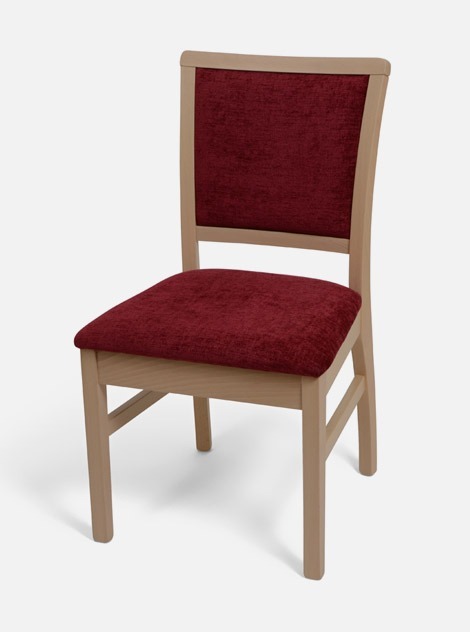 With its deep and wide upholstered seat with matching padded back support, this beautiful chair adds a touch of class to any care home dining room. For extra practicality, you can also upgrade this chair to include skis. This chair is available in our exclusive range of Woodland or Coastal vinyl as standard, or you can upgrade to any of our other healthcare performance fabric and vinyl collections. Take a look at our Swatches page to be inspired by the vast range of specialist upholstery fabrics you can choose from.